Cage Cricket are delighted to have forged close links with PHAB over the past six months, working specifically with the Epsom and the Watford Branches to deliver Cage Cricket. 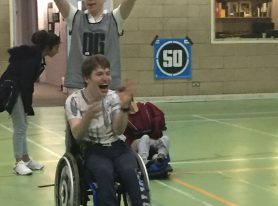 With 175 branches across the country, PHAB is a fantastic charity providing all manner of inclusive activities for young people with and without disabilities. 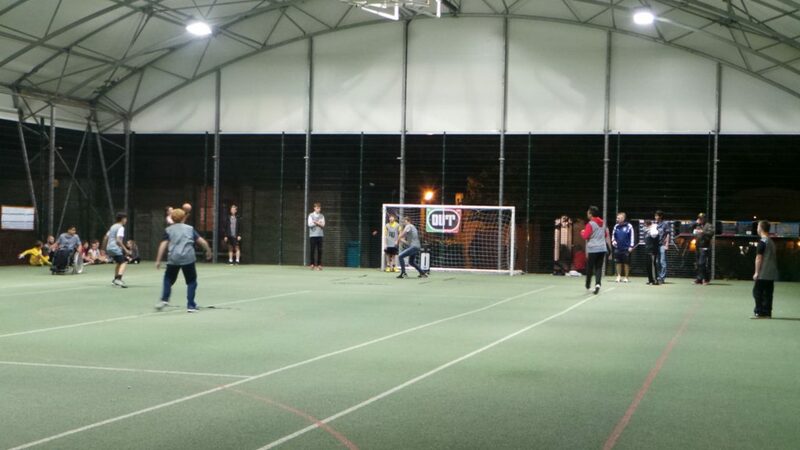 The Epsom group meets at the superb facilities at NESCOT (North East Surrey College of Technology), which includes a newly build floodlit and covered MUGA – the ideal location for Cage Cricket. The Watford group meets at Merchant Taylors’ School, where a number of fun activities are provided in the Sports Hall there. 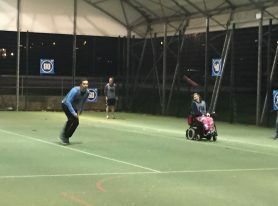 Haidee Allen and Neil Bunting from Cage Cricket South East have been struck by the fabulous atmosphere of camaraderie and shared enjoyment at these clubs. 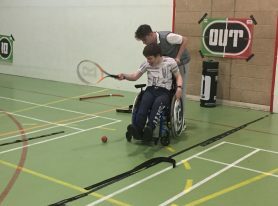 This is reflected in the manner in which disabled and non-disabled players, young and slightly older, boys and girls buddy up to play the game in pairs. All have enjoyed the game including those who were initially a bit nervous about taking part. The extent to which PHAB members engage with Cage is highlighted by the way several youngsters carry on playing after each session until the only pieces of equipment not packed away are the bat and ball! Janine Williams, National Club Development Manager for PHAB, observed the first Epsom session and was very excited about the prospect of introducing Cage Cricket as a regular feature at PHAB centres nationwide. 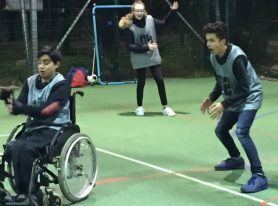 In particular, Janine was impressed by the fun nature of the sport and its fit with the ethos of PHAB, allowing young people of all abilities to play together on an equal basis. 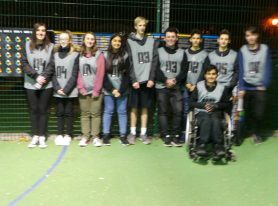 Neil and Haidee are looking forward to running Cage Cricket with the newly established Bristol PHAB following a recent meeting there and enjoyed returning to the Epsom group on Friday 24th March 2017.